Fronted by a majestic view of hills, this is an offering of a six bedroom boutique stay, ideal for a large group of travellers. The property offers ample parking space, Wi-Fi, and running hot water. The bedrooms can accommodate up to eighteen people. 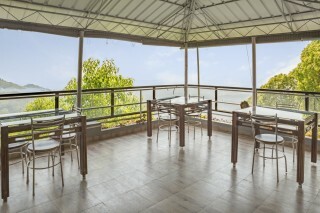 Your Space This stay houses an open-air restaurant, so you can relish a tasty meal and admire the stunning view! 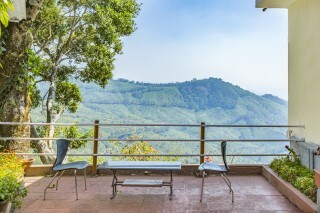 A couple of chairs are placed in the balcony sit-out for you to enjoy your morning tea in the fresh air. The living room boasts two plush leatherette sofas, a glass-topped coffee table, and a television. The bedrooms are furnished with a comfy double bed, a side table, a wall-mounted mirror, and a utility table. The en suite washrooms are tiled and well-appointed with western sanitary ware and modern fixtures. 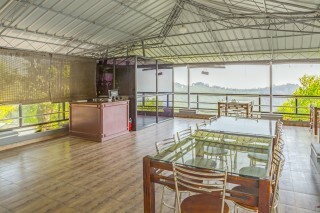 Two arm chairs are placed in the attached balcony so you can sip on a cold beer over a light conversation with your fellow travellers! 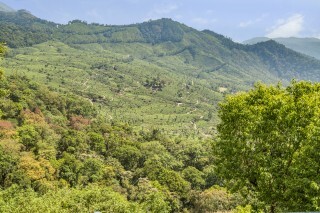 Famous Places: Tea Gardens - 5.9 km. 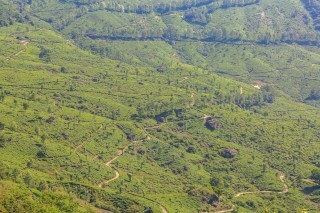 Kolukkumalai Tea Estate - 40.3 km. 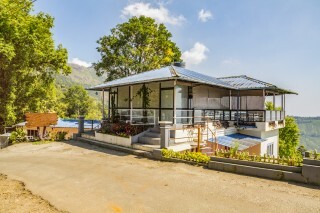 Kannan Devan Tea Museum - 7 km. Mattupetty Dam - 7 km. Kundala Dam Lake - 30.2 km. Eravikulam National Park - 13 km. Rose Garden - 7.3 km. The Angamali Railway Station is 111 km. The Cochin International Airport is 110 km. The Munnar Bus Stand - 3.8 km.